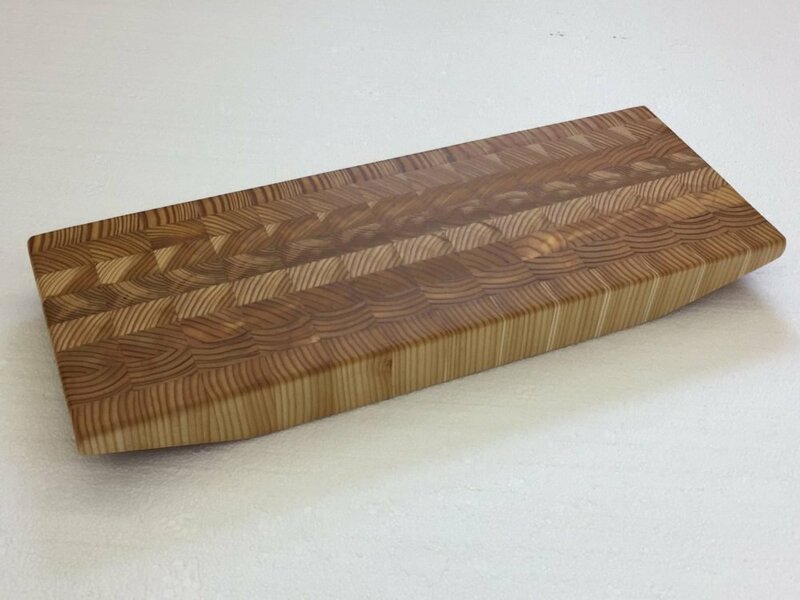 Using only domestic larch wood from Canada, these boards make the perfect cutting boards and statement pieces in your kitchen for your guests to see. All larch wood boards will not show knife marks and are unique with their own wood grain pattern. The Ki board have two large angle cuts to act as handles for when moving the board. This board has been finished in a natural bee’s wax oil finish and is ready to be used every day. Size of small Ki is: 6″ x 16″ x 1-1/2″ Please order yours today or visit the store to see the entire collection.